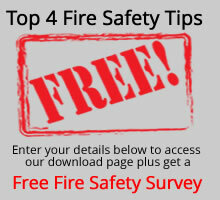 Fire Safety Legislation requires that a fire extinguisher service should be carried out at least once a year. For companies the simplest and most reliable way of ensuring this, is to set up a fire extinguisher maintenance contract with Fire Protection Services Liverpool. We will arrange to undertake the necessary inspections whenever they are due and advise you of any action necessary to keep your equipment in good working order. We can service all types of fire extinguishers all at fixed prices with no hidden extras. To get prices and arrange fire extinguisher servicing call Rick Ryan on 0151 230 1909 for more information. Specialists in fire extinguisher maintenance for businesses of all sizes, we offer genuine advice, reliable service and fixed price fire extinguisher servicing with no hidden extras. Call Rick Ryan at Fire Protection Services Liverpool on 0151 230 1909 for fire extinguisher servicing prices or contact us online and we will call you back. Fire Protection Services Liverpool have been servicing fire extinguishers in Liverpool for over seven years and our reputation has been built on providing professional fire extinguisher maintenance at affordable prices. As fully qualified BAFE engineers we service fire extinguishers to BS5306 standard to ensure quality and reliability.